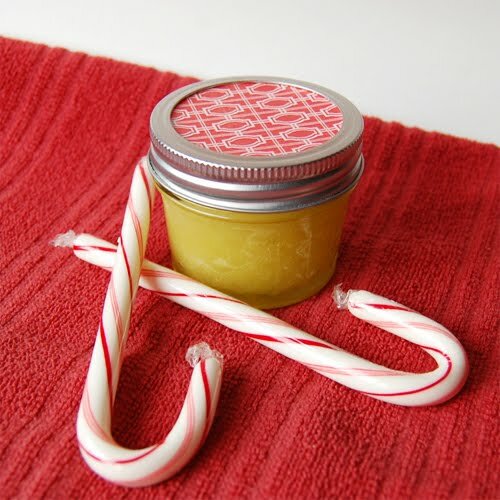 This is an incredibly easy sugar scrub recipe that makes a great gift (if you are already Holiday minded it is an excellent stocking stuffer!). The best part is you probably have the main ingredients on hand already! I like to make a small batch for myself and keep it in my 4 oz. mason jars, as pictured. However, if you want to make a large batch and separate it into smaller jars it is very easy to just use the ratio of 2 parts sugar to one part oil and make as large or small a batch as you like. Just add all of the ingredients together, stir well and you have a great exfoliating facial scrub! You can make it unscented as well, or choose a different essential oil as well. The peppermint is very refreshing, as is tea tree oil. For something calming I would recommend a lavender essential oil. *The sugar does tend to settle at the bottom, so be sure to stir or shake before using. This post was featured on Wildcrafting Wednesday. What a great Christmas stocking stuffer this would make! Definitely will be using this for my daughter and daughters in law! Buzzed! do you know what the shelf life is on homemade sugar scrub? i can't wait to make this for gifts! What a great idea - I bet this smells amazing! If giving as a gift in an open mouth container, I definitely recommend giving a cute little spoon along with it to scoop out your intended amount and avoid bacteria contaminating the scrub. You can also store this in the refrigerator, which adds an extra zing! to wake you up in the morning. Jen-- It smells wonderful! I also have a Rosemary Mint essential oil I use sometimes that is pretty amazing. Silly question (or maybe not), would food coloring be a bad idea? If I were to go with a peppermint scrub like this, i'd want it to be green but wouldn't want to make my friends turn green haha. or would the coloring be okay? I wouldn't use food coloring in this, maybe look into some colorings from a soap making supplier? I've never used an artificial coloring in mine so I'm not sure what to recommend. Would sea salt work in place of sugar? I would think this would be a bit sticky? But I absolutely love the idea and am going to go get some essential oils tomorrow. Perfect for the people that you would like to give something to but don't know what to get, also great for teachers, baby sitters, etc. Thanks a bunch and have a wonderful Thanksgiving and Christmas. Yes! Salt does work in place of the sugar, though I can vouch for the fact that the sugar doesn't get sticky, which kind of surprised me too. Since it uses oil instead of water, that seems to coat the sugar crystals and they don't actually dissolve, they are just suspended in the oil. I generally order mine online, it is the best way I have found to get a good selection of different oils all from one place. You can certainly do an internet search to find places specializing in essential oils. I copied and pasted an answer from above, with a couple other tips added in. Mine usually keeps for at least 2-3 weeks (provided I haven't used it up by then). I have, on occasion had one as long as 4 weeks before I used it up and it was still good as new (I do scoop mine out of the container with a clean spoon). The most common ways to elongate the shelf life of your products are to add vitamin E oil or refrigerate the scrub. If giving as a gift in an open mouth container, I definitely recommend giving a cute little spoon along with it to scoop out your intended amount and avoid bacteria contaminating the scrub. You can also store this in the refrigerator, which adds an extra "zing!" to wake you up in the morning. Could I use sunflower seed oil or grape seed oil instead of the flaxseed oil? Sara-- Absolutely! Several oils are great substitutes, including grape seed, sunflower and safflower oils. I'm going to make this to sell at a charity weight pull we have going on. Every penny is going to toys for tots. I'm just hoping I can get my local community to donate sugar n jars to the cause n ill pay for the rest. There was another link on this, n she did put food coloring in it. N she claimed it didn't stain her. Exactly how do u use this product? Some places it said hands only, other places use it as a face scrub, n there's been a few claiming they use it in the shower.. lol. I use it on my face and hands, its great for elbows as well to keep them soft in the winter time! I always test on my wrist if I am adding oils and spices to make sure it isn't too harsh for my sensitive skin. Also, I have tried some with food coloring and it didn't stain my skin either. Good luck on your fund raiser! I would love to have you share this post on the Wildcrafting Wednesday blog hop!